You can always find a select group of people that will never think of the Mazda MX-5 Miata as a worthy driver’s car or ‘prize’ vehicle for the every-day enthusiast. You could jam a Chevy small block in one with ease and still have frowning-faced onlookers provoke you in shame. Some, on the other hand, have naturally placed the Japanese convertible on a pedestal considering how it has championed many autocross and track events during its 2-decade-long stint. Chris Harris happens to be one on the impermeable fence about liking the Mazda MX-5 Miata truthfully expressing his part-hatred towards the vehicle. 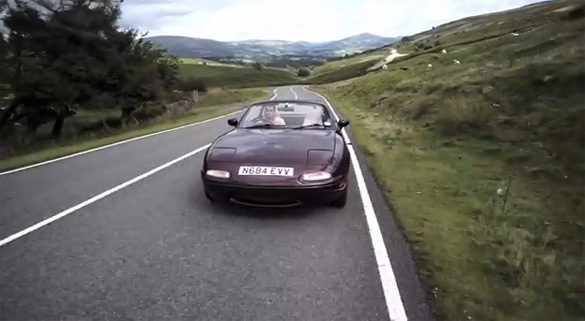 In his latest DRIVE On Cars video Chris attempts to give the MX-5 Miata a second go and “reform” his opinion to express it to us the best way he knows how. Quite the entertaining delight here. Enjoy!